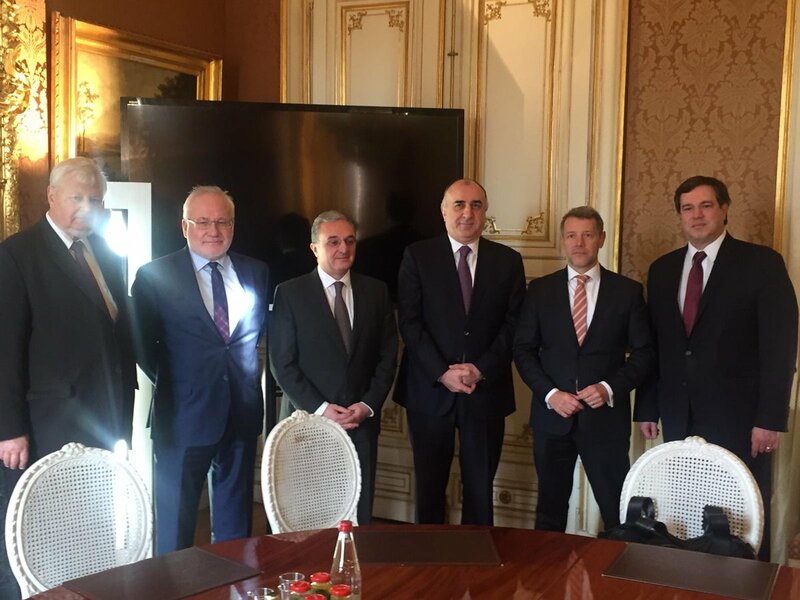 A meeting between Azerbaijani Foreign Minister Elmar Mammadyarov and Armenia’s acting Foreign Minister Zohrab Mnatsakanyan has kicked off in Paris, the Azerbaijani Foreign Ministry tweeted. 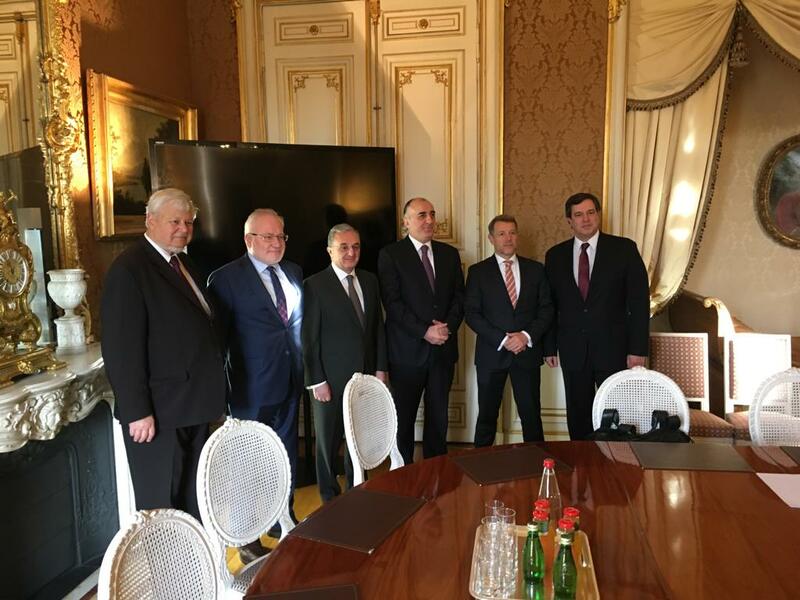 The meeting is taking place through the mediation of the Co-Chairs of the OSCE Minsk Group (Igor Popov of the Russian Federation, Stephane Visconti of France, and Andrew Schofer of the United States of America). The meeting was also attended by the Personal Representative of the OSCE Chairperson-in-Office Andrzej Kasprzyk. During the meeting the sides will discuss the negotiation process on resolution of the Armenia-Azerbaijan Nagorno-Karabakh conflict.